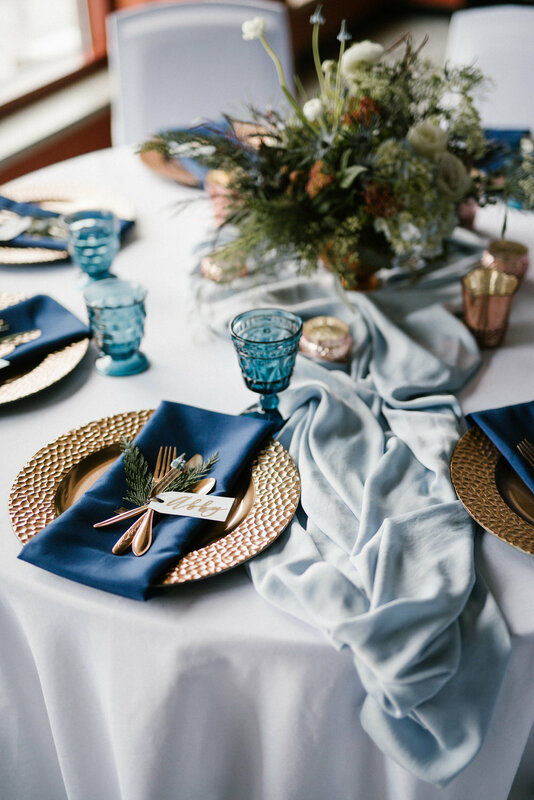 And now, we are proud to present, another blog post about another absolutely gorgeous styled shoot we took part in...because WE REALLY HEART STYLED SHOOTS! 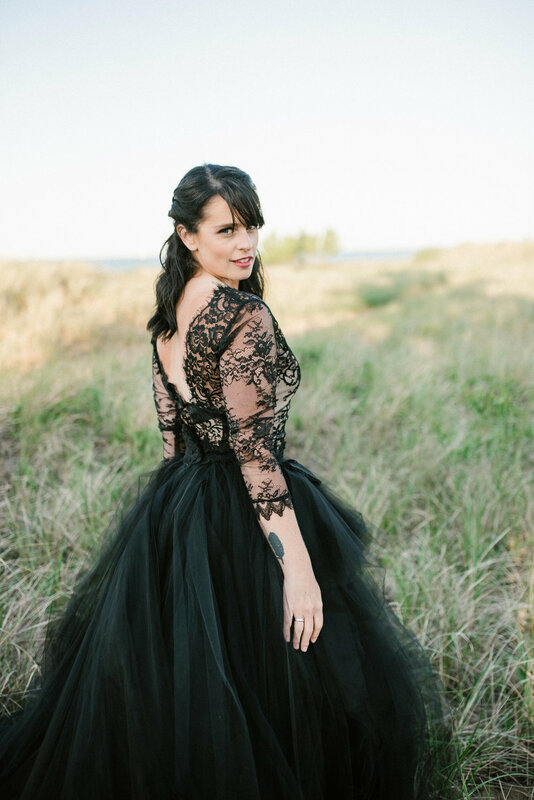 featuring our gal with the camera Kellie from Kellie Rae Studio + Kolby from Flutter Bridal Boutique + her groom, Jake! 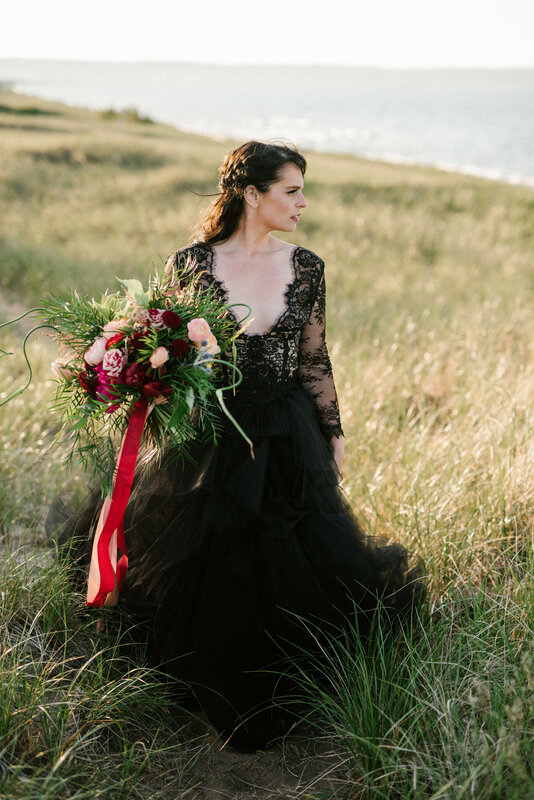 We cannot get over the black lace + tulle gown mixed with the soft beach grasses. KILLER COMBINATION! Her bouquet consisting of garden roses, roses, ranunculus, astilbe, peonies, + thistle accented by lush greenery + draping ribbon is the perfect addition to this whole setup! His boutonniere goes splendidly consisting of blue thistle + ranunculus! Hannah + Blake's wedding this summer at the Pier B Resort in Duluth, MN was a perfect blend of soft + romantic with industrial chic! The bride looked gorgeous in her gown with a structured bodice with a very soft + flowing chiffon skirt complimented beautifully by her array of hair flowers that contained white majolica spray roses with small eucalyptus accent. Her modern + rounded bouquet consisting of garden roses, anenomes, peonies, + ranunculus accented perfectly with eucalyptus + cedar. The groom, looking dapper as ever donning a classic grey suit adorned with his boutonniere consisting of white spray roses with cedar + eucalyptus accents coordinating with his bride. 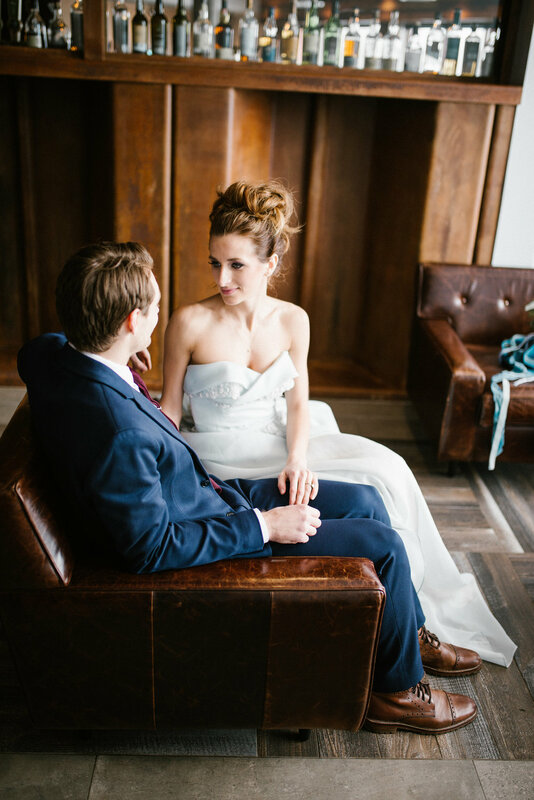 Hannah + Blake's day was executed to perfection by the one + only Britt Lenick from Woven + Wed. Her eye for detail with an overall romantic vision with a little modern edge makes any wedding day stress-free, who wouldn't want that? !